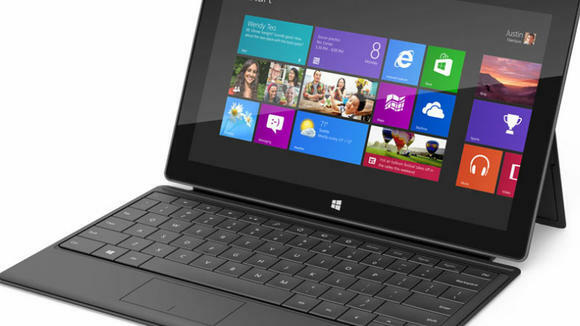 Microsoft exec teases 'small touch devices' at competitive price points: 7" tablets anyone? A few days ago we reported that Microsoft had updated to minimum screen requirements for Windows 8, something which we speculated could pave the way for 7" and even 8" Windows tablets. It seems we weren't too far off the mark because Microsoft's CFO, Peter Klein, has said that the Remond giants are working closely with OEM's on something along those lines. Klein's exact words were that Microsoft are working to produce "a new suite of small touch devices powered by Windows." He also added that we can expect these devices to be "available in the coming months" and at "competitive price points," both of which sound great to us! "We understand that partners exploring designs for certain markets could find greater design flexibility helpful." We could quite easily describe smaller tablets as an 'exploration' for Microsoft and their partners seeing as no diddy tablets have run the software before. Perhaps this much rumoured update to Windows 8.1 could be more heavily focused on optimisations for these new screen sizes and TheVerge even speculates that OEM's will release smaller devices running Windows 8 and then they will update them to Windows 8.1 which they are more tailored for. Let us not forget that 'small touch devices' is a very broad term and it could encompass everything from tablets through to smartwatches and anything else, perhaps even mobile phones, but we think that one is a bit of a stretch for now because of Windows Phone 8, but they fall into the category nonetheless and that shows how ambiguous the statement is. When TheVerge reached out to Microsoft for clarification on what 'small touch devices' were they were told that the Microsoft had 'nothing more to share at this time', it seems only time will tell! What do you think? Would you be interested in a 7" Windows 8 tablet? Let us know in the comments below!